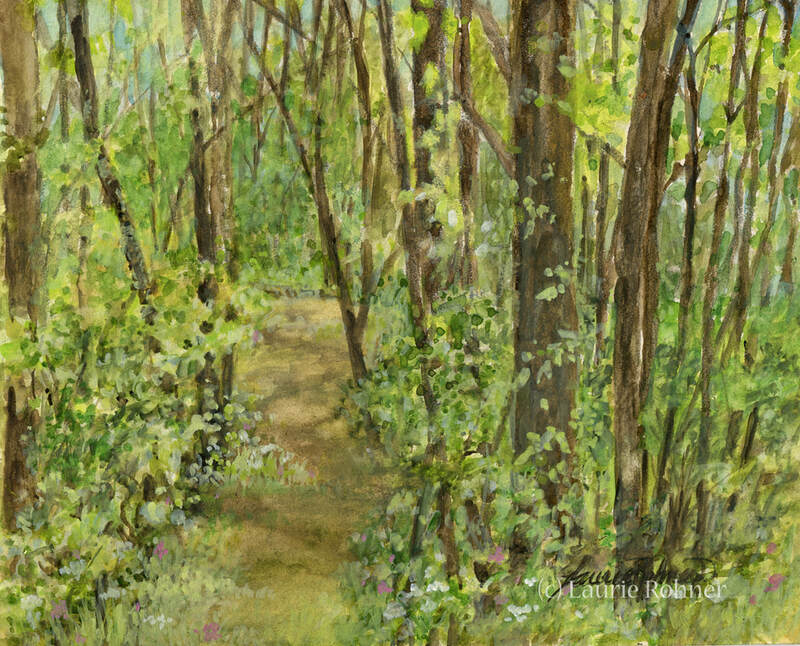 ​Landscape watercolor a wooded path with trees and woodlands is a nature original art by Laurie Rohner. This detailed watercolor landscape is painted on watercolor board and comes unframed. When I was young I would walk this path every day. The leaves green and soothing. You could lose yourself wandering down the woodland path. There were times I swore the trees were talking. I guess it was then I started this wonderful relationship with trees. Woods are very special places for nature is magic and always available. Signature: Signed on front; signature,title,date en verso. Comes professionally wrapped and insured.